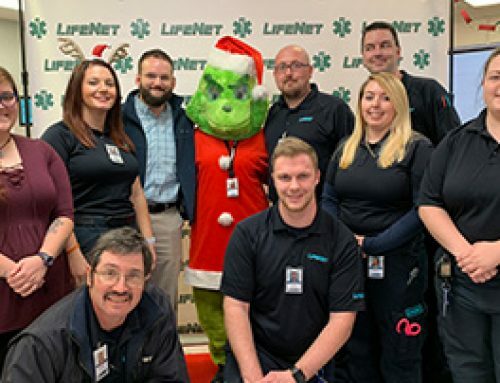 LifeNet Air is set to celebrate 35 years since it flew its very first patient from Naples, Texas back to Texarkana, Texas. 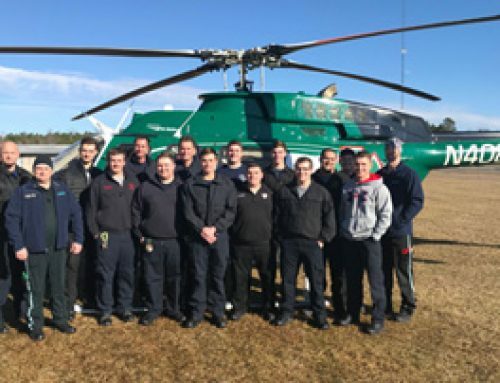 At the time, the medical helicopter was the first in the area to be able to provide an intensive care atmosphere that also allowed the quickest transfer of critical care patients to area hospitals. Since that day, the LifeNet Air program has flown more than 10,000 accident free missions. On Wednesday, June 20th, a community celebration will be held to celebrate this monumental milestone in Texarkana from 4 p.m. to 6 p.m. at Northridge Country Club. 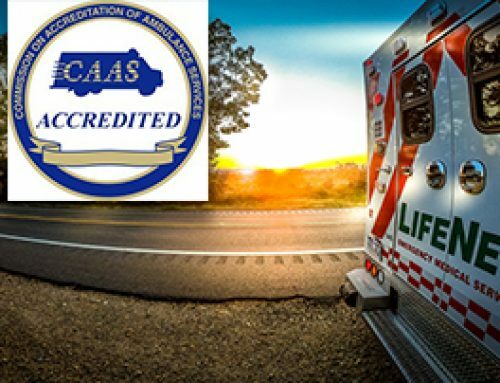 Don Ruggles and Roy Morgan will both attend and speak at the ceremony about how the duo worked together to bring the lifesaving helicopter to Texarkana after Ruggles lost his son due to complications from a hunting accident in rural Arkansas. Morgan started AirMethods, an air helicopter company in Colorado in 1980, and Ruggles met him a few years later. The two men “Air Life” at the time, the new helicopter in Texarkana was Air Methods fourth base in the United States. “Today, the LifeNet Air contract is the second longest contract with AirMethods. Roy retired a few years ago, but he is coming on behalf of AirMethods to present the Monumental Milestone Award to LifeNet during the ceremony,” explained Rod Pace, Air Methods’ Area Manager for Western Missouri and Arkansas. In addition to the presentation of the award, LifeNet is also hoping to honor past patients and air crew during the event. “We are currently asking former patients to RSVP via our website, so we will be able to recognize them during the celebration. 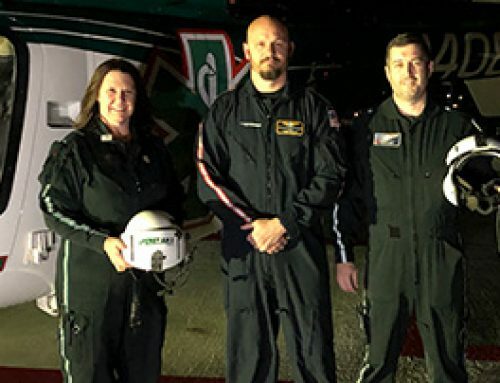 It is not only rewarding for our medical crews to have the opportunity to meet some of the patients whose lives they helped save, it also gives former patients the opportunity to share their stories with other survivors,” explained Tina Bell, Director of Public Relations for LifeNet. The celebration, however, is not limited to former patients. The entire community is invited to come out to the event. “The event kicks off with our helicopter flying in at 4 o’clock. Following the fly-in, the community will be able to tour the helicopter and meet our staff. Additionally, we will have a small makeshift museum setup with memorabilia from the last 35 years that people can look at and hors d’oeuvres to snack on,” said Bell. The first 200 attendees to the event will also receive a specially commissioned 35th Anniversary LifeNet Air lapel pin. “The lapel pin was designed by our head pilot, Allen Bills, who will also be recognized during the ceremony for celebrating 25 years as a pilot for LifeNet Air,” said Bell. 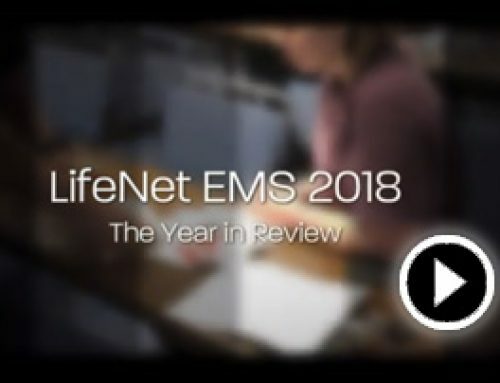 To learn more about the ceremony, or to RSVP attendance as a former patient or air crew member, visit www.LifeNetEMS.org/LNA35 or call 903-556-0301.